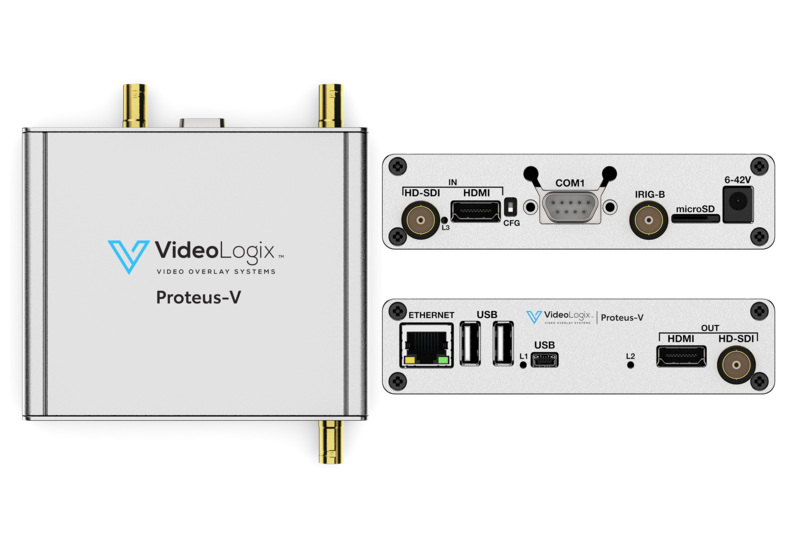 The Proteus-V is a video overlay device that overlays crisp text, graphics and telemetry data over standard HDMI and SDI in full HD and SD resolution. This overlay solution allows for the display of data, text, images, advanced dynamic widgets, and more. 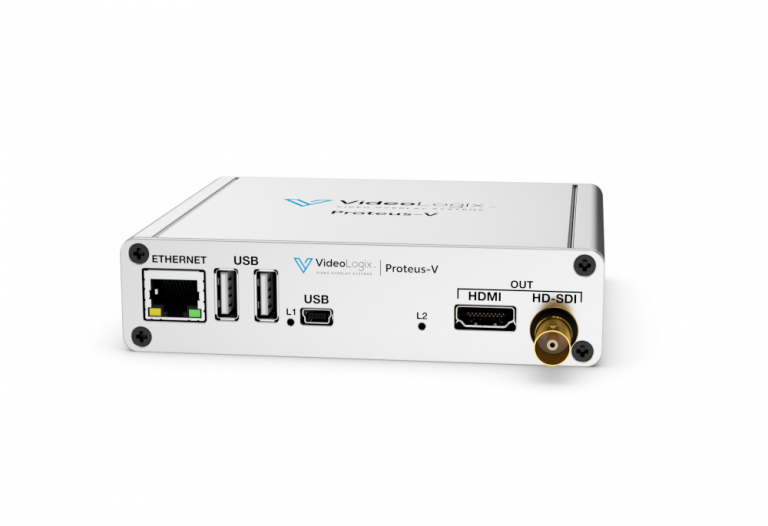 Users can easily customize Proteus-V with an external USB keyboard or through RS232 ports. To Download Our Brochure & Manuals, Click Here. If you are a previous user of Proteus-IV, click here. 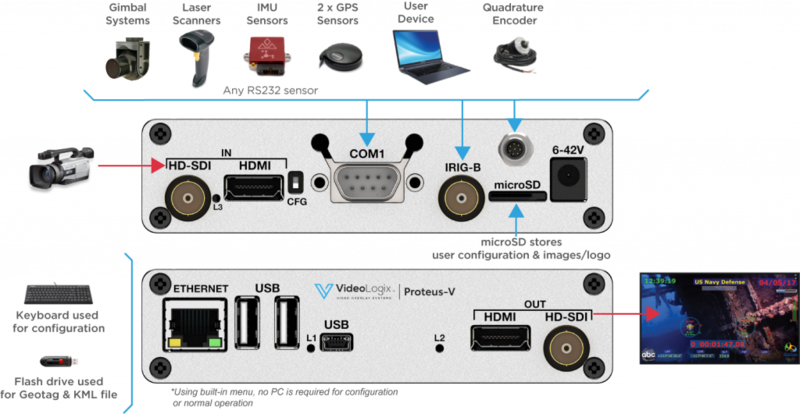 Full HD and SD video overlay device. Make changes on the fly with a USB keyboard or through RS232 port. Easily overlay titles, date/time, lat/long, logo’s, etc. Overlay variables via CSV sentence. Overlay texts such as user titles, time, date, latitude, longitude, etc.